DR. JOHN D. WEHAUSEN, President of the Board, is a founding board member. He is a retired research scientist with the University of California, White Mountain Research Center, but continues a very active research program. His research has focused on population and conservation biology of bighorn sheep populations in southeastern California for 45 years, beginning with his Ph.D. dissertation work in the Sierra Nevada. In addition to that range, in the Owens Valley region he has also carried out intensive studies of bighorn sheep populations in the White and Inyo Mountains. He is also the board president and founder of the Sierra Nevada Bighorn Sheep Foundation. LO LYNESS is a retired Program Coordinator for Inyo County Superintendent of Schools, where most of her work was providing professional development for teachers. She holds both a multiple subject teaching credential and an administrative services credential. 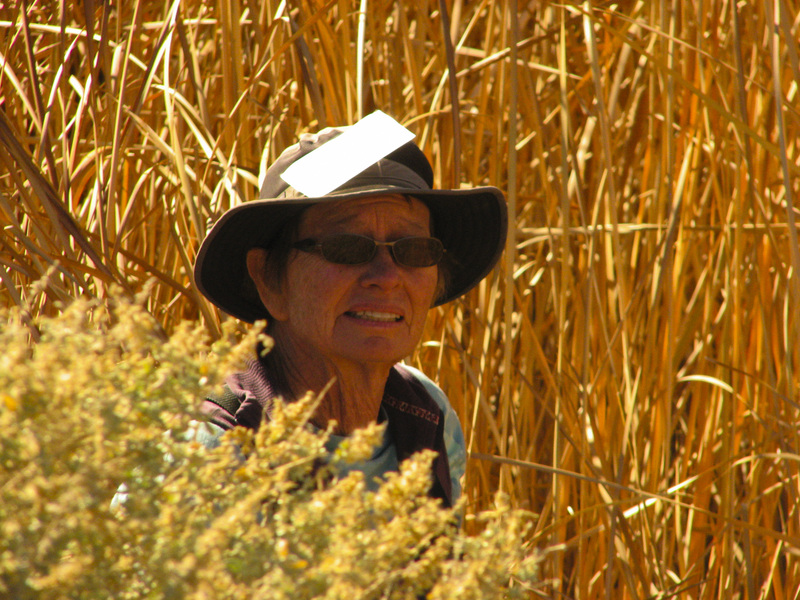 Her background includes many years coordinating the month-long Inyo County Outdoor Science School program, a residential program serving all the students in Inyo County in 5th or 6th grade, and before that, with Monterey County’s Outdoor Education program as a teacher, site director and program administrator. 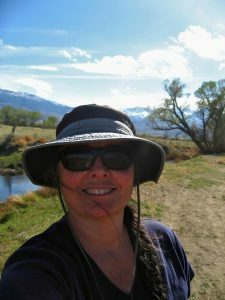 More recently, she worked with ESICE in developing and coordinating the professional development component of the Eastern Sierra Watershed Project. She is currently enjoying retirement with her husband, exploring the west in their camper van. DEBRA HAWK graduated from California State University, Bakersfield in 1990. 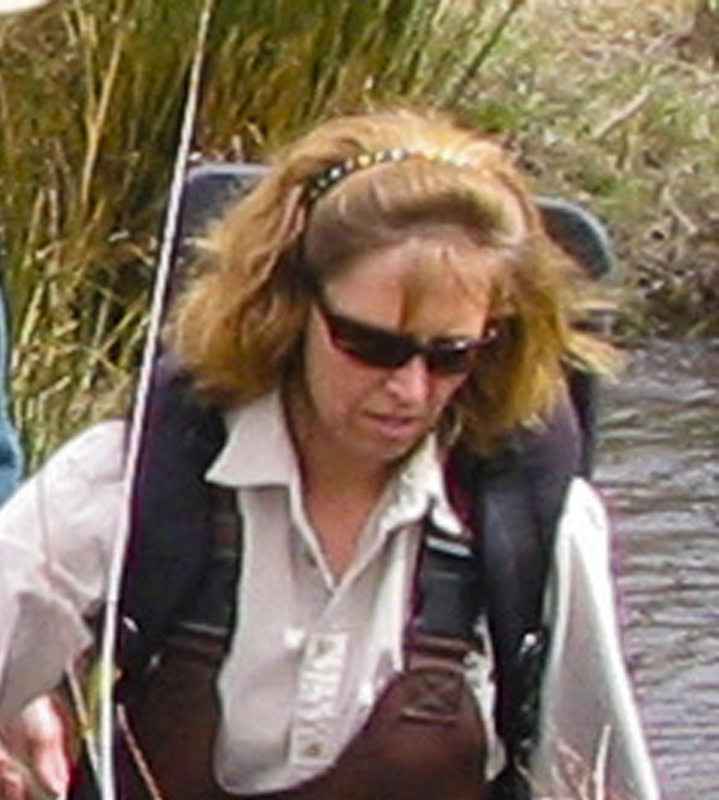 In late 1999, Debra joined the California Department of Fish and Game’s Region 6 Bishop Field Office, bringing to the Eastern Sierra 10 years of experience in both the public and private sector. In addition to operating her ownconsulting, Debra also spent 3 years working in the Mitigation Division for the Federal Emergency Management Agency, traveling the country in an effort to mitigate fire and flood disasters. 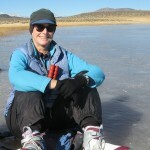 Though Debra now lives on the other side of the Sierra working for PG&E, after years spent living and working in the Owens Valley, she still enjoys bringing a ‘healthy habitats’ and ‘resource conservation’ message to others who live in and love this place, and lovesto travel back to the best side of the Sierra for board meetings. DR. TOM STEPHENSON is a Senior Environmental Scientist with California Department of Fish and Wildlife. He is the program leader for the Sierra Nevada Bighorn Sheep Recovery Program and the wildlife supervisor for the northern portion of CDFW’s Inland Deserts Region. Prior to becoming the program leader, he was the bighorn sheep biologist for the Recovery Program. 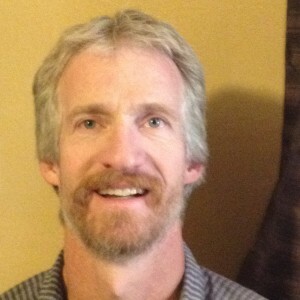 Tom is also an affiliate assistant professor with the University of Montana and Utah State University. He received his B.S., M.S., and Ph.D. in wildlife biology from Colorado State University, Virginia Tech , and the University of Idaho, respectively. He was formerly a research wildlife biologist with the Alaska Department of Fish and Wildlife and director of the Kenai Moose Research Center, as well as an affiliate assistant professor with the University of Alaska, Fairbanks. 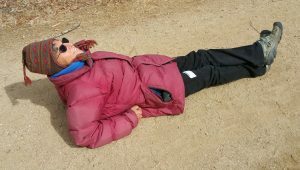 Jan may be retired from teaching, but she’s not taking her retirement lying down – she still volunteers for everything! 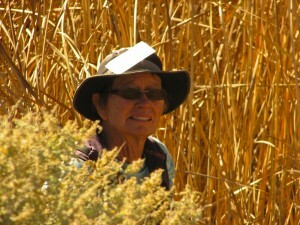 She is a star docent for ESWP, the school garden program, Taking Root, and more! She is an avid cyclist and great baker – combining those two passions into her business, Bicycle Bakery – where she’ll deliver baked goods to your door by bike. She has ridden her bike across the US, and in June 2018, across Nevada. Retirement is definitely not slowing her down! 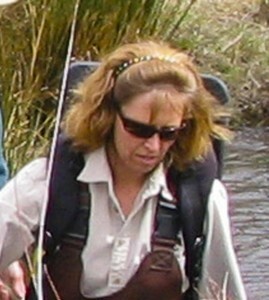 Before moving to the Eastern Sierra in 2007, Maggie worked as a classroom middle school science teacher, and before that, an outdoor science school instructor for 15 years, a seasonal Yosemite park ranger for 9 years, a field botanist for the US Forest Service and consulting firms, a Hydrologic Technician for the USFS, and more. 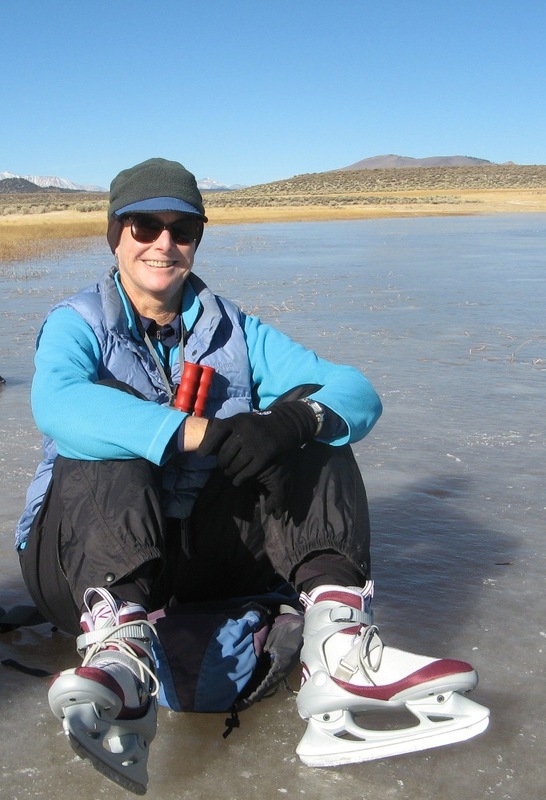 When she moved here, she “got her foot in the outdoors” by being an Eastern Sierra Watershed Project docent for the first 4 years she lived here, and now she is pleased and proud to be coordinating this wonderful program.